This has always been an efficient and compassionate group of professionals who always work on time and with care. I would recommend them happily to anyone! Over the last decades or so, teeth whitening has become one of the most popular cosmetic dentistry options. In just under an hour, our West Hollywood cosmetic dentist can completely transform your smile and make it up to eight shades whiter. The results are immediate, and while some patients experience mild tooth sensitivity, there are no serious side effects. It is no wonder why more and more people are turning toward in-office whitening treatments, but as with anything else, there can always be too much of a good thing. Your teeth can become stained over time due to drinking too much wine, coffee, tea, or soda. It can also result from using tobacco. Although any external stains can develop on the surface of your teeth, various whitening treatments are capable of removing them. But a recent trend has developed where people go overboard with whitening treatments, which results in more harm than good. 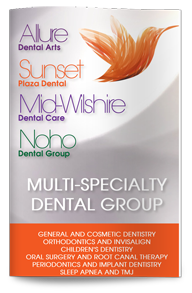 If you come in for an in-office procedure, our expert in teeth whitening in West Hollywood will make sure you are in good enough oral health to get your teeth whitened. This involves checking to make sure you do not suffer from any tooth decay or gum disease. When performed under the supervision of a professional, there is very little risk involved. But it can be very easy to overdo it on the whitening if you are using over-the-counter products. Even if you are whitening your teeth at home, you should still be in contact with your dentist so that you can get the best results possible.